International fashion entrepreneur Rita Britton has joined a campaign to boost Barnsley town centre’s independent retail economy. 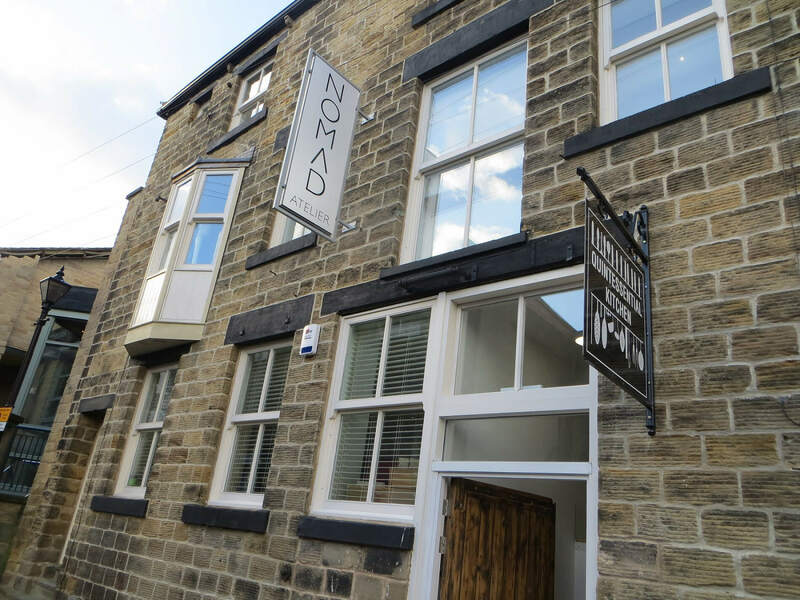 Rita, whose own business Nomad Atelier is based in the Tobacco Warehouse in George Yard, is working with neighbouring businesses to raise awareness of what local shops have to offer both in-store and online. The campaign to boost trade in the town’s Victorian Arcade and surrounding area, has been initiated by Enterprising Barnsley, the business support arm of Barnsley Council. It aims to kick-start promotion of the shops, restaurants and bars through social media, events, better signage and infrastructure and collaboration between businesses. Rita, who has 50 years’ experience in the fashion industry, said: “We are all embracing this new initiative and it feels great to be pulling together in the same direction to improve the area and increase sales for everyone. “It’s been an extremely tough time for all independents in recent years as big high street brands have promoted the concept of all-year-round sales and a ‘pile it high sell it cheap’ culture. We now need to fight back and promote our offer. Rita established the Nomad designer label 20 years ago and opened her new store as its exclusive outlet six months ago. Her new venture builds on the reputation of her previous Barnsley-based emporium Pollyanna, which gained a loyal customer-base across the UK and abroad. Rita considered retiring after ill-health caused her to close Pollyanna in 2013, but decided she could not walk away from the fashion industry. Through the initiative, Rita has also been introduced by Enterprising Barnsley to a Wombwell-based business, Oh Sew Sweet, where she is learning sewing and pattern cutting skills for the first time. Nomad Atelier workshop, store and gallery employs seven people. It is also home to the Quintessential Kitchen owned and run by Martin Blake. Rita launched a new company website and blog two months ago. The Victorian Arcade and George Yard, beside Barnsley Civic Arts Centre, is home to more than 40 independent shops, including cafes, menswear stores, designer boutiques, jewellers, vintage and giftware shops, a bakers and a barbers. Kevin Steel, Enterprising Barnsley’s business development manager at BBIC, said: “Rita has years of experience as a local businesswoman with regional, national and global reach and it’s great to see her new venture going from strength to strength; and to have her on board with wider efforts to boost independent trade in the town. Development of the area is part The Town Centre Plan which aims to understand the sort of support small independent businesses need to improve their trading prospects.